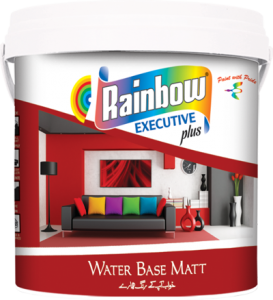 Rainbow Water Base Matt Emulsion is a premium quality acrylic-based emulsion paint made with high quality light fast pigments. It delivers a soft / low sheen which in combination with its excellent coverage and high washability enhances the working environment due to lower VOCs and minimal odour. 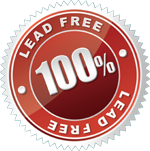 It is highly recommended for all interior walls, ceilings, plaster, brickwork, and wall boards. Sand down the plaster with Emery Stone and Apply one coat of Rainbow Water Base Wall Primer (or Rainbow Perfecton Wall Primer). Prepare the surface by applying 2 Coats of Putty, apply 2-3 coats of Rainbow Water Base Matt Emulsion paint. Remove all dust, Dirt and loose adhering or flaked paints by scraping, apply one coats of Rainbow Water Base Wall Primer (or Rainbow Perfecton Wall Primer) with slight over thinning this will help Sealer to penetrate into the surface apply second coat of sealer followed by filling after the Surface is properly prepared apply 2-3 coats of Rainbow Water Base Matt emulsion paint. Colour Range: Assorted /Matt shade card. Covering Capacity: 16-18 Sq Meters /Ltr./Coat. Application: Brush, Roller and Spray. Drying Time: S.D- 1/2 Hours | Recoatable 2 Hours.